Hale Kau Kau is extremely thankful for the dedicated volunteers who made this year's Thanksgiving lunch a success. 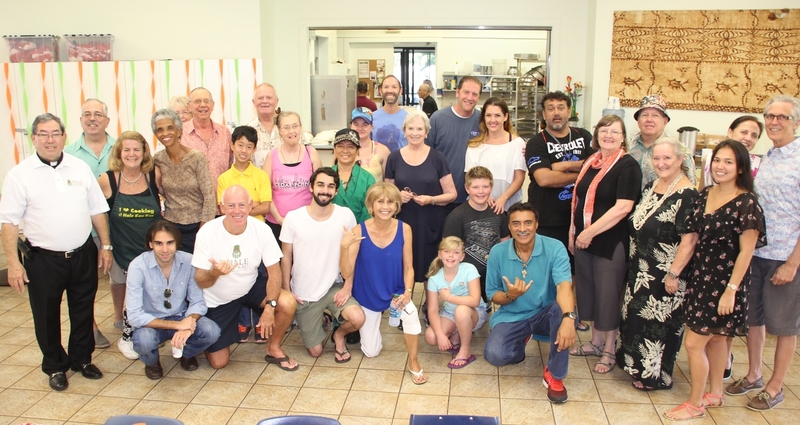 The Hale Kau Kau kitchen served 280 meals on-site and to our homebound clients. The event featured table service, live entertainment, and artwork provided by the Religious Educaiton students of St. Theresa Church. Mahalo to everyone who contributed their time, talents, and treasure to make this event possible!